We reach the ends of the earth by internet! 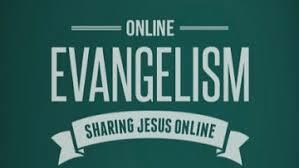 We at INOE are dedicated to spreading the saving gospel of Jesus Christ online, making the gospel available to anyone who has access to the internet. We are on all six continents and still need many people to fill positions with INOE. Categories: Evangelism | Tags: Evangelism, God's love, Jesus Christ, PRAY FOR THE UNSAVED, prayer, preach the Gospel, salvation | Permalink. The bible says that God created a garden in Eden and put Adam in it. He then created all the trees. In the middle of the trees is where God put the tree of life and the tree of the knowledge of good and evil. Genesis 2:8-9 The LORD God planted a garden eastward in Eden, and there He put the man whom He had formed. And out of the ground the LORD God made every tree grow that is pleasant to the sight and good for food. The tree of life was also in the midst of the garden, and the tree of the knowledge of good and evil. God also gave Adam the job of taking care of the garden. The bible does not say how long Adam was alone in the garden but it must have been lengthy because of all the things Adam had to do. All was done before Eve was given unto him. Adam was still alone when God gave him the command that he could eat of all the trees in the garden with the exception of the tree of the knowledge of good and evil. God told Adam he would die if he ate of it. So Adam was aware of all the trees in the garden including the tree of life and the tree of death. Why he ignored the tree of life is a very good question! He was aware of it long before Eve was created. The very essence of how Adam perceived the tree of life is very much like how mankind perceives eternal life today! They know it is there and that it gives life, but like Adam they are not interested. Mankind indulges in the sins and evil ways of the world (tree of the knowledge of good and evil) because they choose to do so; they are guilty of disobeying God and come under the death penalty. Those who choose life and confess that they are sinners, submitting to Jesus Christ and receiving Him into their lives are given the gift of eternal life. Their sins are forgiven, past, present, and future through the shed blood of Jesus on the cross. John 14:6 Jesus said to him, “I am the way, the truth, and the life. The tree of life represents Jesus Christ! Adam and Eve saw the trees in the garden every day, and I still ask myself, “Why did they not want to eat of the tree of life”? The serpent really fooled them when he said they would not die but would know all about good and evil just like God does. They didn’t know that their disobedient act would condemn all mankind to the death penalty. (Remember that people who are deceived don’t know they are deceived!) Adam and Eve were driven out of the garden so they could not eat of the tree of life and live forever. Genesis 2:22-23 Then the LORD God said, “Behold, the man has become like one of Us, to know good and evil. And now, lest he put out his hand and take also of the tree of life, and eat, and live forever” — therefore the LORD God sent him out of the garden of Eden to till the ground from which he was taken. Now God sent His only Son down to the earth to take on the flesh of mankind (though He was still fully God) to suffer on the cross as the supreme blood sacrifice; and, by His grace, do away with the sins of the world and to die in our place so that He could freely give us His gift of eternal life. That is how great God’s love is for us! John 3:16 For God so loved the world that He gave His only begotten Son, that whoever believes in Him should not perish but have everlasting life. Now is the time of salvation! Don’t keep following the sinful, evil ways of the world! Follow the “way, the truth, and the life” through Jesus Christ! Dear heavenly Father I come praying for the many still living in sin in this world and ask that you would draw them to Christ as the truth of salvation is shared with them through the multitude of ways you have made available in this technical age by television, radio, Media, satellite, and the internet in the Christian churches today. There are still billions of people in this world who need to be saved and only You can make it possible. Open the doors of salvation to the unsaved of the world! Father You deserve all the glory! In Jesus name I pray, amen! 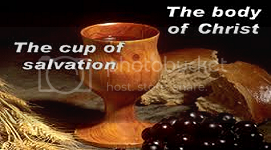 Categories: Evangelism | Tags: bible study, eternal life, follow Christ, Garden of Eden, God's love, grace, Jesus Christ, preach the Gospel, salvation, tree of life, tree of the knowledge of good and evil, Truth of God | Permalink.